If you’re a digital marketer, and you have not yet heard about attribution, then where have you been? Google, the most ubiquitous of digital advertising platforms, recently released Google Attribution in beta for more advertisers, and pretty soon, attribution modeling will become that much more mainstream for digital advertisers. 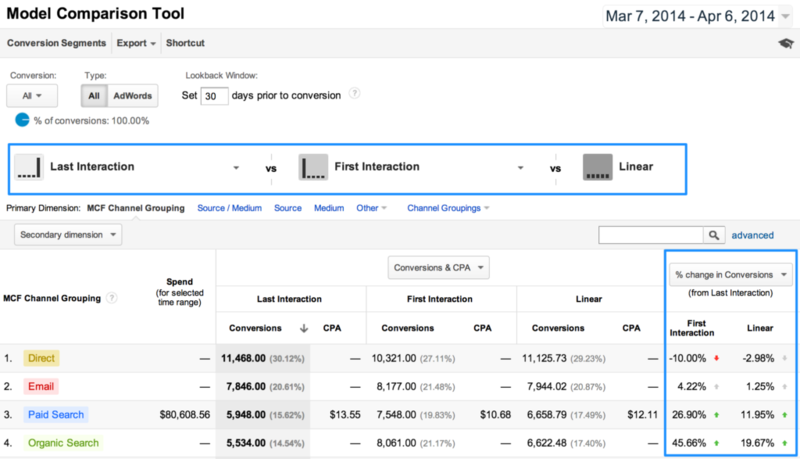 What Is Marketing Attribution Modeling? Attribution modeling is allocating credit to the appropriate marketing channels or touchpoints responsible for a sale or conversion. Pretty simple and relevant, right? It makes sense to allocate marketing credit appropriately to efficiently advertise a business. As a business, then, the only question you have to answer is: How do you credit the proper marketing channels? For many digital marketers and even the saavy PPC agency, since the beginning of digital marketing, last-click attribution has been – and still is – the main framework used to attribute credit. The last marketing touchpoint a customer interacts with gets all of the marketing credit. For example, say you’re a mental health software company, and you are running a Google AdWords keyword-targeted campaign. 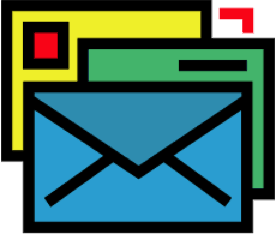 One of your ads for the keyword, ‘best mental health ehr software companies’, is the last touchpoint for a particular user that submits their contact information for a free one-on-one consultation, plus a demo of the software system (i.e. they converted!). This AdWords campaign and keyword get all of the marketing credit in last-click attribution modeling. If that seems too basic and unreflective of the actual reason this customer converted, it is because it is too basic and unreflective of the actual reason this customer converted! It is crazy that we still use this heuristic of attribution given what we know about marketing funnels and the variables that impact how a customer makes decisions. So why are we still using an outdated model of attribution modeling this far into the history of digital marketing? The answer is not too confounding. Digital marketing is actually still a fairly new industry, which has only risen in the past couple of decades. Many businesses still struggle to even implement a digital strategy, much less track, monitor, and optimize efficiently. Let’s look closer at how last-click attribution can be problematic. In the example of the mental health software company above, perhaps there was a blog article that showed up in the organic search results when the aforementioned customer searched ‘how much money do I save by implementing ehr software’. This blog article was a case study on how a small clinic boosted ROI by implementing an electronic health records software system. A few days later, this customer searched ‘best mental health ehr software companies’ and converted. Obviously, the blog article had some impact on the awareness of the mental health software industry in a customer’s journey, but when calculating the credit of the conversion, the keyword-targeted AdWords ad gets all the credit. The list could go on. Is it even possible to accurately credit the proper channels? When researchers present their findings, confounding variables are inevitably brought up in the Q&A. Simply put, confounding variables are variables that are not considered, but do play a role in the outcome of an event. 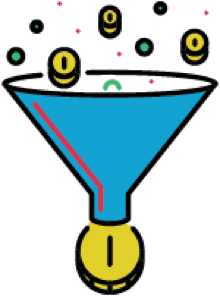 In-market bias / double-counting – the problem of users who were going to purchase anyway exists, which explains why search and direct response marketing work so well, but individuals higher up in the funnel can be harder to measure. Remarketing campaigns are the poster child for this problem, grabbing credit where conversions were going to happen anyway. Offline conversions – Online conversions are the easiest to attribute, but brick and mortar shops have few options to accurately attribute their in-store conversions to digital marketing efforts, which can undervalue its impact. Phone Calls – Like in-store conversions, it can be difficult to impossible to attribute marketing credit when phone calls can either lead to a sale or BE the actual sale. Think of all the places companies list their numbers online and how often they aren’t attributing that conversion data (hint: lots!). While companies like Call Rail are filling this gap, the fragmentation of platforms just adds to the complexity of multi-touch attribution models. Direct / none – Direct traffic isn’t simply just “users that typed your URL directly into their browser, or who had bookmarked your site” as Google proclaims. There are many ways users can arrive at your site without Google knowing from where the user came. Without this knowledge, it is obviously difficult to attribute credit. Did they come because they saw a banner ad? Did they come across your company page on LinkedIn? Did they see a social media post from a few weeks ago? The rise of attribution and companies trying to position themselves as the leader in attribution want you to think that they have the solutions, but a dependence on clean data, the high costs, and the still black-box reputation of marketing data automation limit attribution modeling’s rise and impact in the digital marketing world. Indeed, Google’s data-driven attribution model seems to boost conversion numbers without much detail into why. This is exactly the experimental design necessary to really delve into figuring out the true value of touchpoints. Long story short, Google is saying all the right things, but it is difficult to trust them when we just don’t know what their machine algorithms do; in fact, Google might not know, either. Furthermore, even if you’re able to allocate credit appropriately, not all sales are equal unless you have only one product line. Customer lifetime value is a basic concept taught in business schools, but many businesses do not understand or calculate this value, much less apply it to their digital marketing efforts. Understanding all of your customers’ sales journeys is crucial here, but the fact remains that applying accurate values to different products or customers and optimizing towards these values can be more accurate, but much more complicated. Is your head spinning, yet? Finally, if your marketing mix doesn’t include many touchpoints within the various marketing channels available, then it is hard to justify the investment of time and money into a robust attribution solution. The result is the current position the digital marketing world is in today: Last-click attribution modeling reigns supreme as most businesses are happy to even have a digital strategy in place. As an SMB digital marketer, how do you approach this glaring issue when you’re just trying to implement a profitable digital strategy? Let’s take a look at how understanding a few basic concepts about your business can help you determine your approach to attribution modeling for your marketing mix in today’s landscape. As a marketer, you should be pretty familiar with this inverted cone by now. The premise is fairly simple. At the top of the funnel is where an SMB’s customers begin the process of converting. As an SMB, you want new people to be aware of your industry, the problems your industry solves, and your company as one of the players in the industry who can help customers solve their problems. 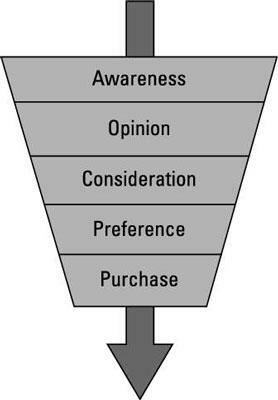 The top of the funnel (TOFU) is where this awareness happens. Just like the mental health software company example above, consider how and where you insert yourself into your customer’s sales journey. As potential customers begins to recognize their problems, and the existence of an industry that can solve their problems, they will do more research (i.e. consider) all the different players and their solutions (and hopefully they are considering your solution!). Throughout this consideration and opinion-forming stage, customers might encounter a medium with your content. Perhaps a potential customer encounters a social media post that highlights your company’s take on how to approach the problem in whitepaper or e-book form. Or perhaps, you contextually targeted a 30-second video on Google’s Display Network. The touchpoints, as previously mentioned, can be endless. These are all touchpoints that you can track and report within Google Analytics, in their Multi-Channel Funnel view. 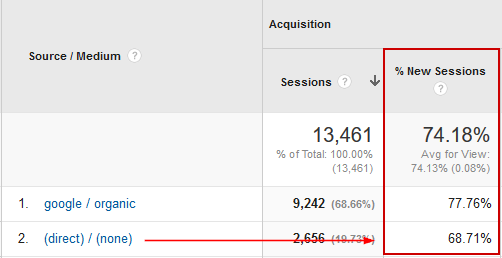 You might have seen this view in Google Analytics, a popular and free service to track website traffic. 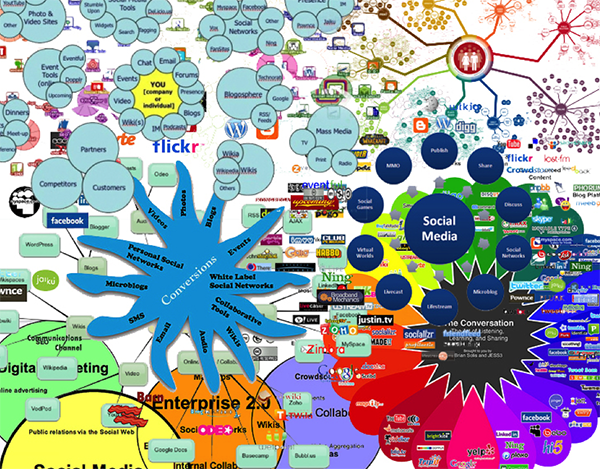 This view shows all the different digital marketing channels and pathways website users take and how often they do so. When combined with conversion data, the information can be powerfully insightful in understanding the users of your website. There are various template models that you can choose to reflect a dispersion of the credit which we will discuss later, but for now, it is important to identify the touchpoints at which customers can potentially encounter your brand. 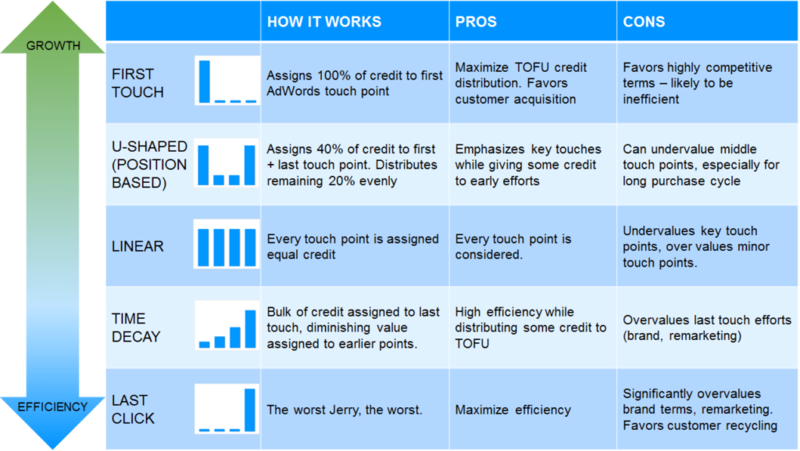 Once you have a complete list of touchpoints, you need to hypothesize the amount of credit you attribute to each touchpoint. Google Analytics Multi-Channel Funnel reports can be a useful starting point in identifying all the touchpoints in your digital customer funnel. You can track the top pathways all the way down to the most unique pathways that may have only happened once. Analyzing all the different possible paths, the likelihood that each touchpoint plays a role in creating a conversion, and finding patterns that indicate the most common paths to conversion, is crucial for insights into the touchpoints most important in your respective business. Wait just a second – that’s right, we need to also consider the reality of a multi-device world. While I’ve already listed multiple drawbacks, this particular problem with attribution deserves its own section. Multiply all the different digital marketing touchpoints with the number of different devices a customer uses and you’ve increased the fun of attributing credit properly. Cross device behavior and the difficulties tracking a user through these devices can be frustrating and deflating for most SMBs trying to apply an effective attribution model. Cookies used to track users don’t always connect cleanly across devices like mobile phones and tablets. Mobile searches account for half of organic search engine visits just last year, and that number will only continue to grow. The good news is that if you’ve made it this far, so you’re ahead of the competition. Many SMBs are still just trying to implement a search engine marketing strategy that is profitable. They haven’t yet gotten to the point where they’ve enumerated the possible touchpoints and are seeking to measure the effects of all the channels and devices to decide which touchpoints are contributing most to a customer conversion, so hooray for getting this far! However, the inconvenient truth is that multiple devices bring in touchpoints that might not be tracked due to the lack of cookies transferring across devices to unify all the touchpoints of a customer. Multiple devices bring into play the unfortunate truth that the science of attribution modeling in digital marketing is still an incomplete science. Indeed, how can you create an optimal marketing mix model if you’re missing certain touchpoints, like a mobile display ad that was shown to a potential user? The answer is that you currently might not be able to inter-connect all the relevant data with today’s technology. However, this barrier is just something that should be noted when creating your map of touchpoints. 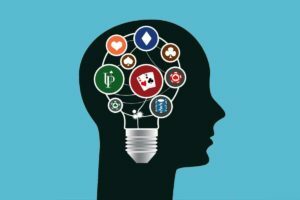 If you’ve ever played poker, you understand that you are trying to make the most informed decisions with incomplete information. This does not prevent you from actually making informed decisions! Of course, you can always get better at acquiring information, but that should not prevent the endeavor or attribution modeling excellence. Digital marketing tools continue to improve, and Google Analytics is a great place to start. Plus, Google Analytics is free! With Google – which is still one of the best tools for gathering data about your website – you can apply the different base models of attribution to see how the different marketing channels contribute to conversions. Comparing basic attribution modeling templates, you can see how different models affect how Google attributes different channels to the marketing mix. This gives you a very rough idea of how switching attribution models can affect how certain channels or touchpoints are credited in the conversion process. By experimenting with different attribution models, you can test whether the assumptions about certain touchpoints or channels prove to be accurate. For example, if the new attribution model hypothesizes that your videos on the Google Display Network are contributing 20% to the conversion process, your company can test what a marketing mix without videos on the Google Display Network would do for your business revenues. If the drop-off after a statistically significant test indicates that your revenues or conversions decreased by a factor of 20% then you can assume with higher probability that this new attribution model reflects your marketing mix accurately. Rinse and repeat this testing process for all touchpoints or channels, and you will refine the attribution model to become more and more accurate. If you have an idea about the lifetime customer value and an accurate view of your revenue, you can apply budget values to each marketing mix channel in order to test granularly how different adjustments in ad spend at each channel can affect overall revenues. If this sounds incredibly involved in terms of money and time, then congratulations, you understand the complexity of multi-touch attribution modeling! However, if you get started on that now and slowly gather the relevant data on touchpoints, and how much to spend at each touchpoint, then you are well on your way to mastering the attribution modeling process! Businesses starting the attribution modeling process with Google Analytics will start to realize the limitations of the Google Model Comparison Tool: The attribution templates are limited. Are there really only a handful of models that you can use to attribute credit to each marketing channel? Of course not. Just as there is not just one way of playing poker or making money as a business, the amount of credit you can assign to each touchpoint lies within a spectrum with an infinite number of possible points. Currently there are certain ‘template’ attribution models that exist that can apply to a wide variety of business models. Just like templates that exist for any other functional aspect of a business, some templates may work better than others, and custom templates or custom attribution models may work best. View through/ post view – campaigns get credit when just impressed to a user, usually through a top-of-funnel campaign like Google Display. A big part of this model working is the ‘conversion window’ you set. An ad shown a year prior to conversion probably does not merit credit but an impression from two months ago probably deserves some credit. Setting the appropriate conversion window depends on understanding your customer’s sales journey. Algorithmic attribution modeling can be the most helpful (AdRoll whitepaper – The State of Attribution), but this option is the most sophisticated type of modeling and is usually only available with formats that require payment. Balancing the needs and resources of your business in attributing credit to multi-touch attribution models is imperative. SMBs will need to analyze available multi-touch attribution modeling tools considering the unique circumstances, needs, and resources of each respective business. The more revenue, the more marketing channels that exist, the more it makes sense to use more advanced technology to get the most accurate answer in attributing credit. For example, a mom and pop shop could analyze their attribution to the different channels in their marketing mix, but if their marketing mix only includes some basic PPC, SEO, and infrequent social media posts, perhaps only a basic overview that Google provides for free is sufficient. As your business grows into a more intricate and high revenue affair, looking into more advanced multi-touch attribution tools in addition to basic Google Analytics multi-touch attribution models might make sense. In addition to having clean data, having the skillset to accurately reflect the impact of all touchpoints in a business’s attribution model, and implementing the plan to analyze the insights from such a model is tough. Producing meaningful action requires resources that most businesses simply don’t have – especially SMBs. Most companies who have clean data, and the resources, to outsource their attribution modeling to one of the many up-and-coming vendors in the attribution field still need training and guidance when trying to implement meaningful action based on the insights gained from attribution modeling. Phew! That’s a lot to think through on top of implementing a digital strategy. This also explains why an alarming number of SMBs still use last-click attribution. What tools currently exist for advanced SMBs and larger businesses ready for attribution modeling, and what can they provide in terms of higher accuracy in attribution modeling? Does the pricing for these different options make sense? Let’s take a deeper dive. This platform boasts integration with every digital publisher and TV network. Many SMBs do not even use radio much less television, so if an SMB does not use TV extensively, then this option probably doesn’t make sense. C3 advertises its Scorecard extensively on its website. Indeed, when you fill out their form to receive their Scorecard for Attribution, they segment you into groups based on the amount of your advertising spend: below $4 million, $4-15 million, and above $15 million. You can see here how much ad spend might be necessary in order to make an investment into attribution modeling. Within Adobe’s analytics offerings, you can add on services such as attribution. If you’re already using Adobe’s analytics offerings it might make sense for your company to check out their attribution offerings. Clearly, however, Adobe’s offerings aren’t as robust as some of the companies that focus on just attribution. Adobe appears to be capitalizing on its market share as an analytics-marketing platform to incorporate an attribution modeling option. Their recent TubeMogul acquisition expands the offering that addresses the largest portion of many marketing budgets (television) and helps this segment become more data-driven. An offshoot of Marketo, they cater to the digital marketing professional with varied offerings depending on the respective needs of various marketing roles. Their integration with Salesforce is comprehensive for those using the CRM platform. Conversion Logic has a huge list of media and advertising partners that bolsters its credibility and cross channel-attributing prowess. If Google’s freemium version becomes inadequate, Google’s paid attribution service might make sense. As you can see with Impact’s list of integration partners, agency partners, and media partners, having rich and diverse partnerships across media and advertising allows Impact to maximize its ability to integrate various channels and acquire clients because of their connections. With data collection, compatibility of data and data integrations is paramount. The quality of their integration of offline data sources and mobile through its data management platform is a big selling point. This platform can be complicated, requiring lots of man power to set-up. A partnership of AOL and Verizon acquired this platform. They are trying hard to be an alternative to the advertising ad space that Google has created by building the capabilities of Google Analytics for a content farm system hoarded by acquisitions; they also own Yahoo, which, for all of its stumbles, still operates a vast content farm with regular users that still have Yahoo as their home page. They play fantasy sports, seek out news, and research finance. They still have a slice of the pie and are taking advantage. 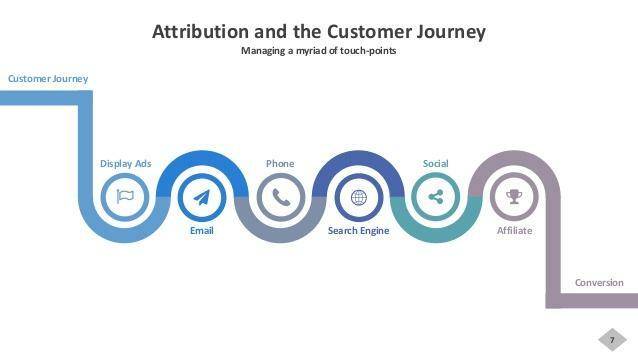 There are many more companies getting into the attribution business, but no matter how confident some of these companies seem in their ability to solve attribution problems, it is important for marketers to understand the overall state of attribution based on the technology available and the resources needed to gain impactful insights. Keeping perspective on the limitations and complexity of attribution modeling can help shape strategy and keep expectations realistic when approaching the problem of a multi touch attribution solution. The digital marketing world is still wrestling with the compatibility of data sources, multiple devices, and human resources among other issues. The number of channels and devices that we don’t even know about yet will increase the complexity of a multi-device world. Interactive billboards, bus displays, augmented reality; the information from your own personalized agents will add even more complexity and compatibility to an already fragmented customer journey. Ultimately, however, attribution modeling can improve clarity on the effectiveness of your marketing mix and guide effective spending for marketing budgets. Better understanding the customer journey can also help inform the creation of rich user personas and help optimize their experience. The endeavor, no matter how frustrating, is worth the investment. Happy attribution modeling!